Rules of the Jungle: When do eagles lay eggs? The eagles lay eggs as soon as the nest is completed, at the beginning of the spring. The nest of an eagle can have 2-3 meters length, and it can weight more than a ton. A pair of eagles can use the same nest for years, and for each year, they add more material to it. 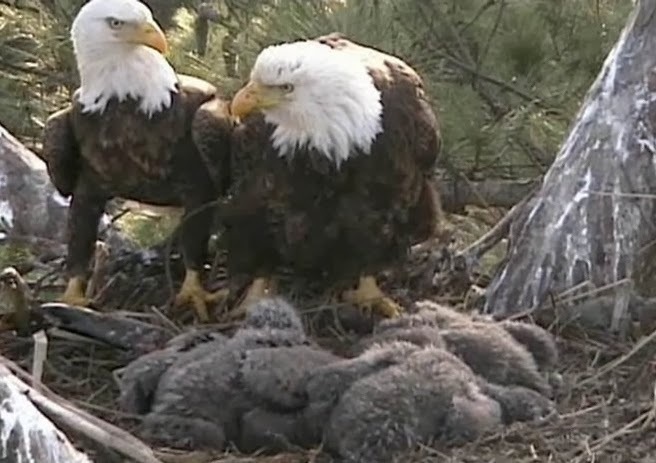 If the nest is destroyed, the pair of eagles is disoriented, and usually they tear apart.